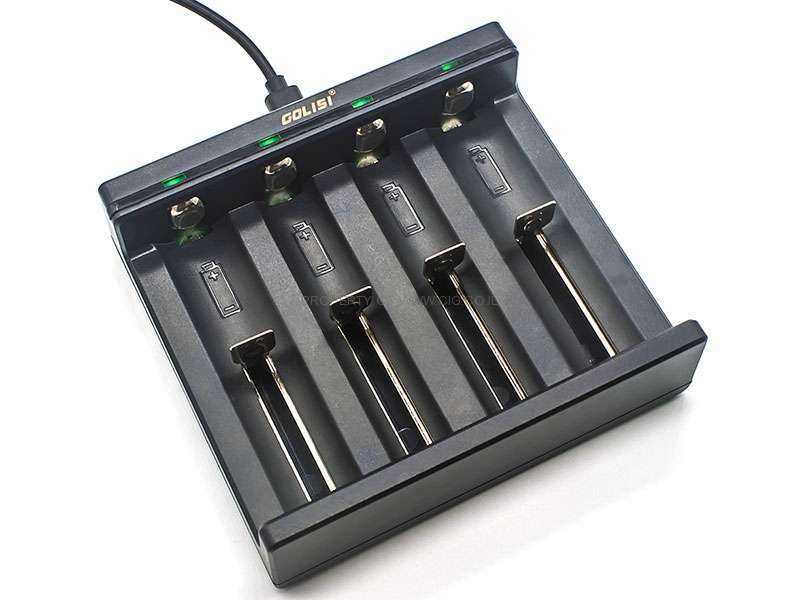 Golisi Needle 4 is a portable and safe smart charger with four battery slot. It has a USB power port with DC 5V/2A power input. 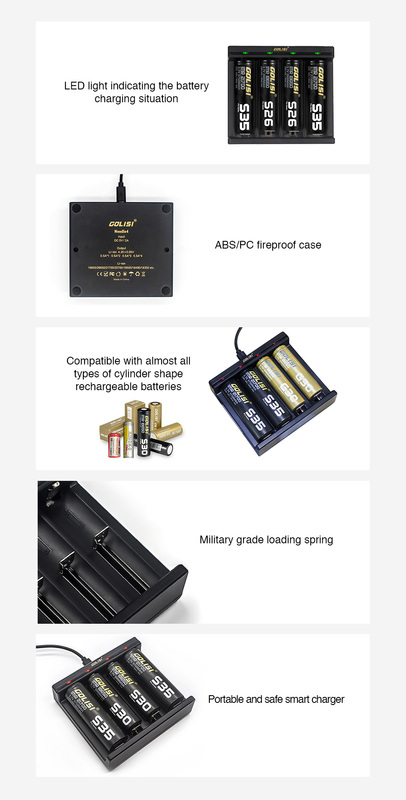 What's more, it is compatible with almost all types of cylinder shape rechargeable batteries such as 18650, 20700, 21700, 26650 and 18350 batteries with 0.5A output current. Together with a LED light indicating the battery charging situation, light Short Circuit Protection, Over-Current Protection, Reverse Connection Protection and Over-Heat Protection, Needle 4 Charger will bring you a simple and safe charging experience. Only suitable for rechargeable lithium-ion/Ni-MH/NI-CD batteries. Compatible with battery length ranging from 32mm to 70mm.